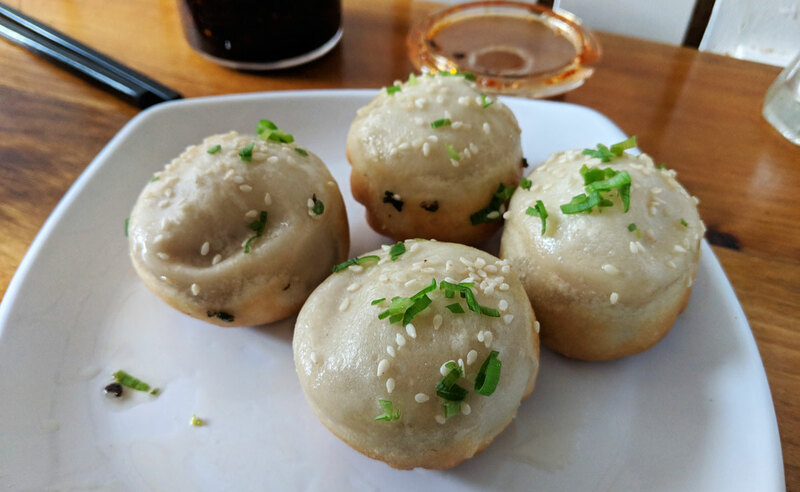 Sang-ji bao are basically like a traditional soup dumpling’s (a.k.a. xiao long bao) more rugged cousin. They’re pan fried, with a slightly thicker skin and a dark brown crust on the bottom. 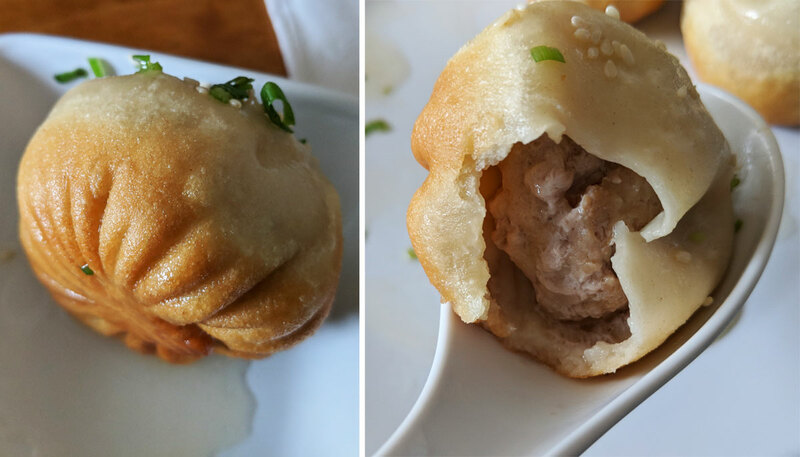 Soup dumplings are delicious, but if you want something a bit more hearty, sang-ji bao’s got your back. 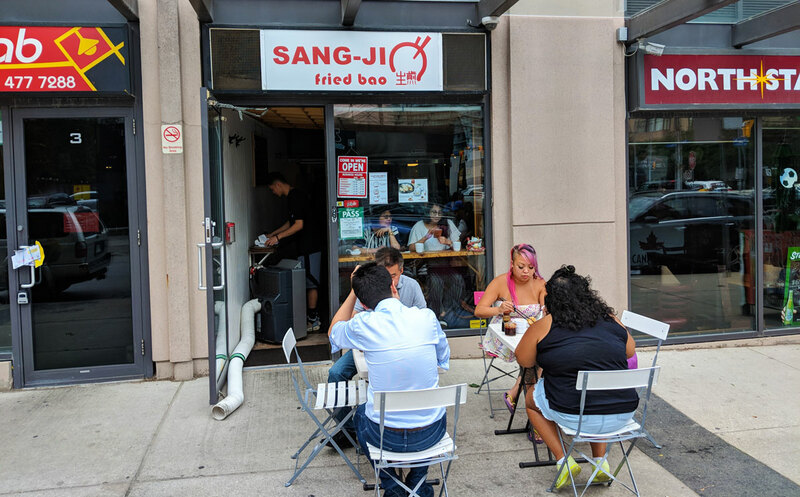 And as you’d probably guess from the name, Sang-ji Fried Bao specializes in the stuff. I was pretty excited to try it. 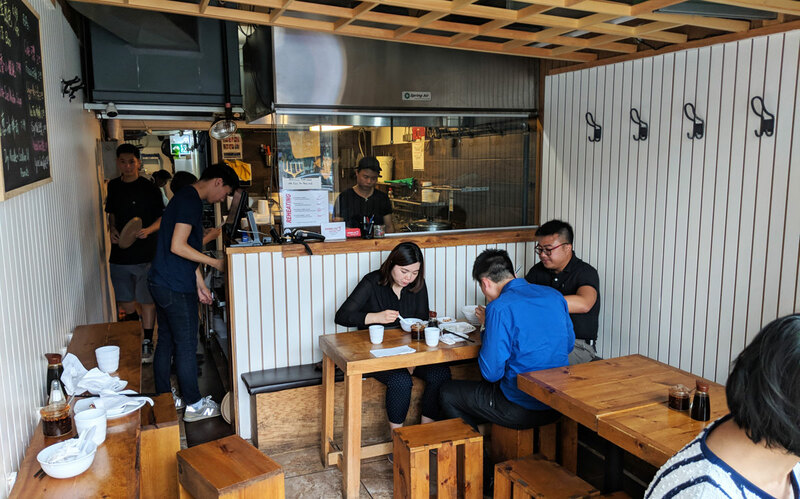 We started with the scallion oil noodles, an absolutely delightful flavour-bomb of oily (but not overly greasy) noodles topped with peanuts and fried scallions. 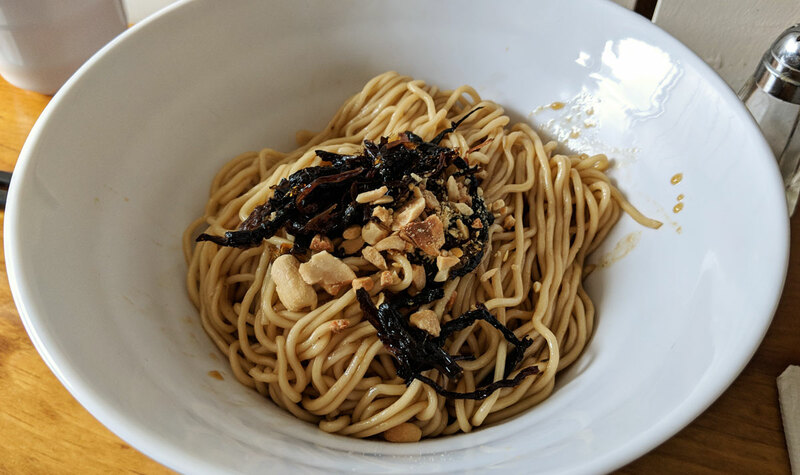 The crunchy peanuts offer a nice crunchy contrast to the chewy noodles, and the imposingly dark fried scallions are packed with flavour and immensely satisfying. I liked this dish even more than the fried dumplings. The sang-ji bao were certainly nothing to scoff at — they’re pleasingly porky and packed with scalding hot soup. The wrapper is a bit too thick, however, and the whole thing is a touch on the bland side. Still, it’s got that satisfyingly crispy bottom, and the whole thing is tasty enough, even if it’s not the best version of these things that I’ve ever had.